The official competition schedule for all competitors is below. Click for a full-sized image (PDF version here). Good luck to everyone! 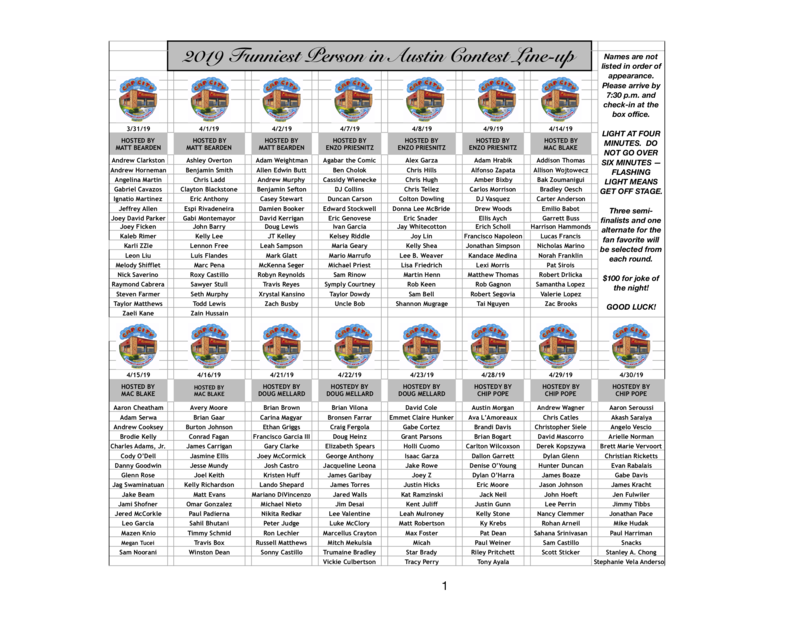 Cap City Comedy Club is excited to announce the 34th ANNUAL ‘FUNNIEST PERSON IN AUSTIN’ CONTEST – which begins Sunday April 1st, 2018! Every year 200+ local comedians compete over a period of six weeks for the crown of "Funniest Person," and subsequent (possible) fame! 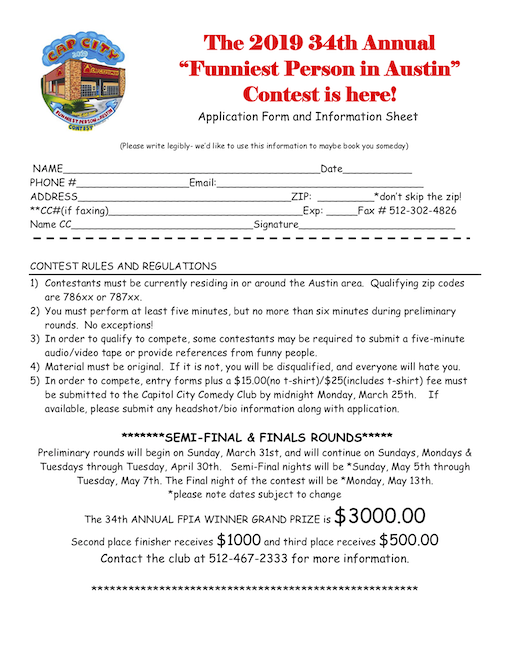 Prelim rounds begin Sunday, March 31st, and continue On Sundays, Mondays, & Tuesdays thru April 30th, 2019. Semi-final nights will be held *Sunday, May 5th, through *Tuesday, May 7th. This year's GRAND PRIZE will be $3000.00, with second place receiving $1000.00, and third place $500.00! Deadline to sign-up has passed. Check out the lineups for this year's competition!